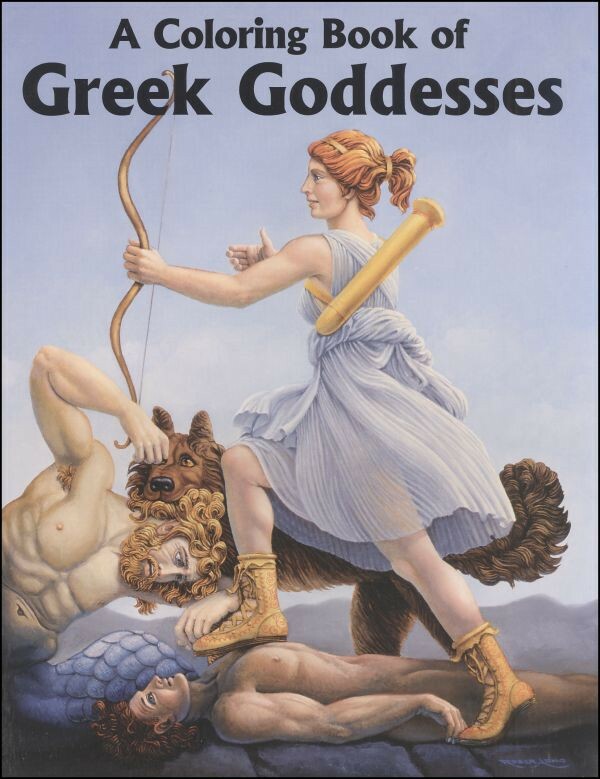 A Coloring Book of Greek Goddesses. Along with the Olympian goddesses - Athena, Artemis, Hera, etc., this book illustrates less familiar deities such as Dawn and Night. All are drawn from Ancient Greek art, and each picture has a line from an ancient author. From Bellerophon Books.